Plugin works very well on category pages, however, if I try to do a search (let’s say by model), result page is all wrong. Woof plugin shows all possible selections. I would expect it should only show selectors relevant to search result. Hi, I have a pre-sales question. I already have your great WOOBE bulk editor and now come across your product filter after getting frustrated with a competitor plugin. I’ve checked all the demos etc and all looks great… the only thing that doesn’t seem to work well is the mobile responsive version which is important to me. I want on desktop the filter to be in a standard side bar, but on mobiles I want it to slide it from the left with a clear close button, from all the demos I could not see this… can it do this? When you resize the browser it out the filter at the bottom of all the products. Очень странно! Я вижу явные проблемы с JS, но в консоли нет ошибок. Hello. I’ve installed your plugin, and it works very well. There is only one problem. After filtering, in the URL there is the parameter “swoof=1”. This is not SEO friendly. So, How I can remove this string? And if I remove it, will the plugin continue to work? I tried to remove the string + swoof_search_slug + ”=1” in woof_get_submit_link() (front.js), but when I filter for a category, the others disappear. I would like to filter a category and show the others not selected. For now I have only managed to change the name of slug_search in “shop“. Thank you in advance. This is not SEO friendly. – Please describe why? If you remove this parameter, the filter will not work correctly. Hi, I want to buy the plugin but can you answer me on this 2 questions: 1. If the pro version of plugin is installed, and we choose to sort by Woocommerce Category by chekbox is the empty categories will be hidden? 2.When we are in the choosen category page what kind of search options will be displayd, only the options of choosen category or all kind of categories? Many Thanks! hi pre-sale question this plugin is compatible with woocommerce brands? К сожалению я не понял Вас. Hi, is it possible to create a menubar style filter using the drop-down filters? I have the filter set across the top with drop-down filters, but they seem to go up, rather than down when revealing? I’m working locally, so unfortunately I don’t have a link I can share. I think I’ve worked it out on my own however. I had set the dropdown menu’s containing div to inline-block to make it a menubar, that seemed to be the problem. Once I changed it to a float: left; it behaved correctly. I appreciate the response either way! Здравствуйте. Возникла проблема при работе плагина в режиме ajax. При активной опции autosubmit кнопка FILTER не исчезает. И фильтрация работает только при нажатии кнопки FILTER. Но если выполнить следующий сценарий: выбрать категорию -> нажать FILTER -> нажать RESET. Фильтрация в режиме ajax начинает работать до момента перезагрузки страницы. Кажется все стало работать, только появилась проблема с пагинацией. How to make the all categories in filter on the category page? unfortunately this behavior cannot be changed. Please, can u check and help me to find issue ? Hi! 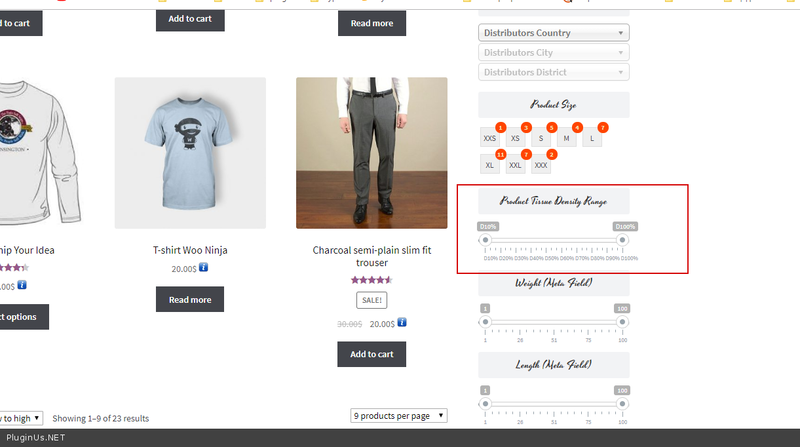 How do I make the WOOF Product Categories and Attributes drop-downs look the same with same arrow image as the Price and the default products widgets on the Shop page? Please see sidebar widgets and Shop page filters at: https://helpcuttingthecord.com/shop Thank you! Chuck S.
In this case, you need CSS customization. hope you rmemeber me – nice to see how far you got in the last few years! well done! This plugin filters parent products, variations are checked only for “instock”. ok, is there a way to custom code so it will check if variation is enabled or not – and if not – dont return the variation while filtering? Unfortunately, we have no ready solution. Hello I want to know what do I have to do to keep the product categories after a filter has been submitted. 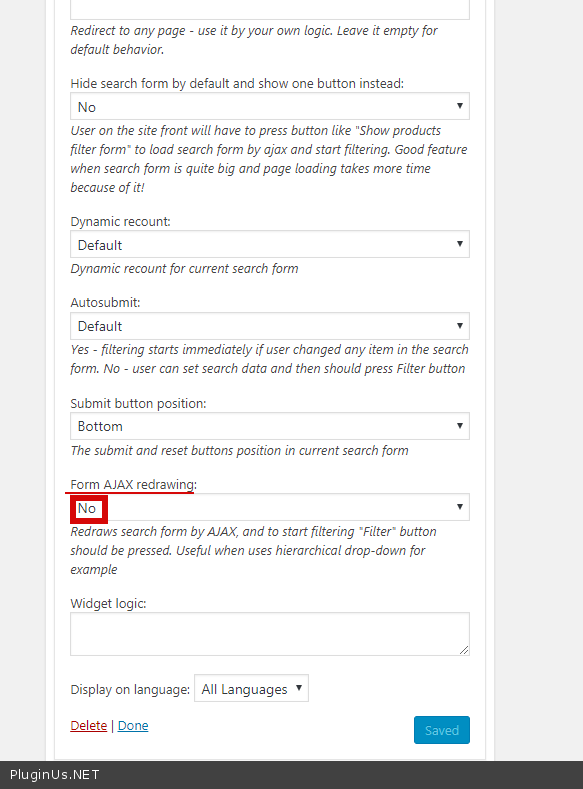 Also how does the Saver of Search query in the extensions work? Finally what is this Radio or checkbox in drop-down in extesions? Hi! When shortcode is used it pushes sidebar to bottom of page using Divi Theme. I have use these shortcodes in both code and text modules with same result: `[woof autohide=0 autosubmit=1]` `[woof_products per_page=12 columns=6 is_ajax=1]`. Any suggestions? Thanks, Chuck S.
Every time I activate the plugin EVERYTHING (specially products) on the site gets removed. Also some of the styling gets effected. Can you tell me the solution for this? It looks like a conflict with third-party software. I downloaded latest version for repository. What version of woocommerce do you use? hello, I’m testing the free version of your plugin. I followed the video to setting it up, but when I flag the product category item, nothing appear in the widget. why? I have a lot of products in various category.